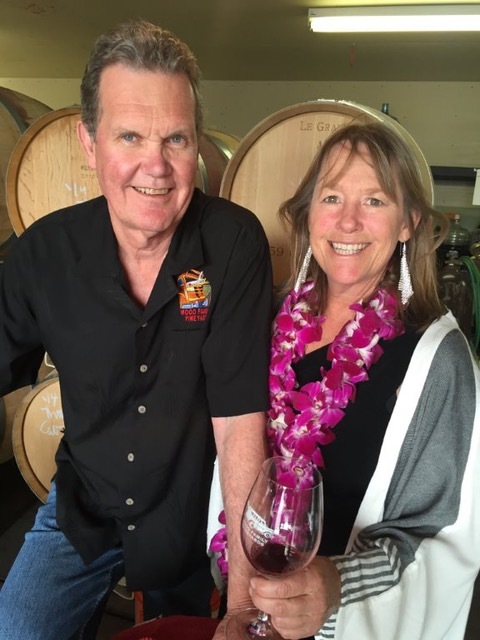 Owners Rhonda and Michael Wood invite you to visit their winery! Live music on Fridays from 4-7pm and best of all it’s FREE to attend! Come try the amazing wines made from our Livermore Valley Vineyards! We can’t wait to share our award winning wines with you! Come visit us with Pedego, the electric bike tours or hop onto the Wine Trolley for a large group visit! Join us in our tasting room located at 2407 Research Drive, Livermore, CA. The tasting room is open Thursdays (Noon – 7pm), Fridays (Noon – 7pm), Saturdays (Noon – 7pm) and Sundays (Noon – 6pm). Tasting flights are $15 per person and are refunded with a bottle purchase. Tastings for groups of 8 or more are $15 per person and are non refundable but do enjoy a 10% discount on wine. Dogs allowed with a leash, woof! 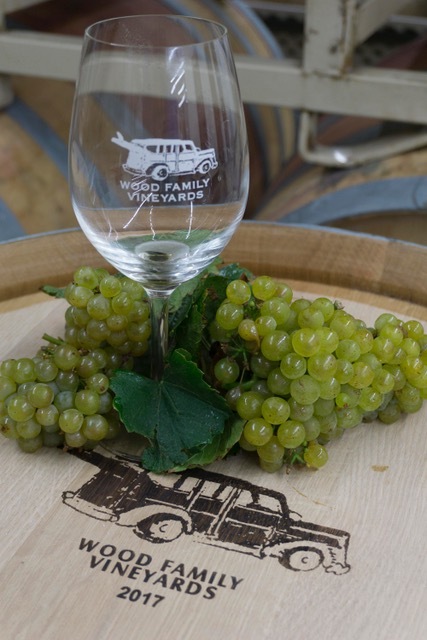 Wood Family Vineyards is a family run winery located in the eastern foothills of the Livermore Valley. We specialize in limited production, handcrafted wines made exclusively from grapes grown in the Livermore Valley. Rhonda has been the winemaker since inception and used to be a pilot prior to this fun endeavor. Michael continues to pay the bills and his favorite wine is the Chardonnay. Harrison is no newcomer to the wine business and loves exploring the world. Holger came to us from managing different Trader Joe’s stores and he loves his Great Danes and traveling the world as well. Alec is a graduate from Fresno State where he studied Oenology, he has been working at Wood Family since age 12. Ben has been with WFV for over 4 years and although he is colorblind he makes fantastic pieces of art. Michelle loves wine and also works with her husband Rob who is her high school sweetheart of 35 plus years. Zach recently took on the important role of managing the Tasting Room and is an avid Disc-Golf player. Rhonda started making wine in 1996 after they purchased the Merlot vineyard where she and Michael built their home. Together, their passion for wine and belief that winemaking begins in the vineyard led them to the Livermore Valley. They are tireless champions about the quality of Livermore Valley soils and their commitment to Livermore Valley grown grapes. 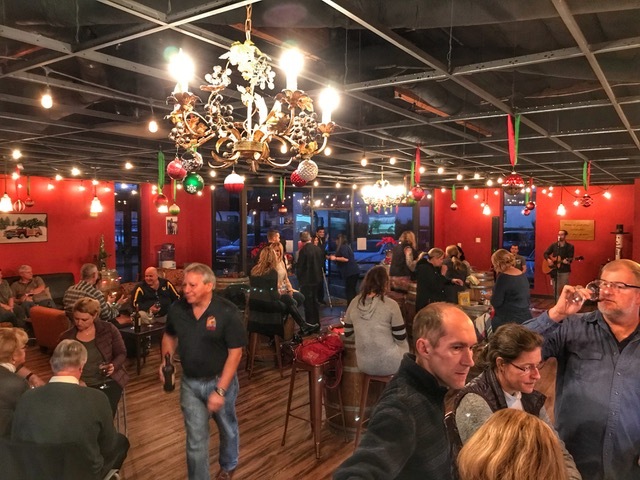 We have moved production from the home winery to our warehouse at 2407 Research Drive and opened a tasting room with regular tasting hours for you to enjoy. Please email or call if you would like to visit us outside of our regular tasting room hours or if you would like a private tasting or tour. Room rentals and private parties can also be arranged, please call us for details. Tasting flights are $15 per person and are refunded with a bottle purchase. Tastings for groups of 8 or more are $15 per person and are non refundable but do enjoy a 10% discount on wine. Wines by the glass are also offered for sale.